Recently, there have been several new pistol caliber carbines introduced to the market, and I’m predicting this is going to be one of the next big things. 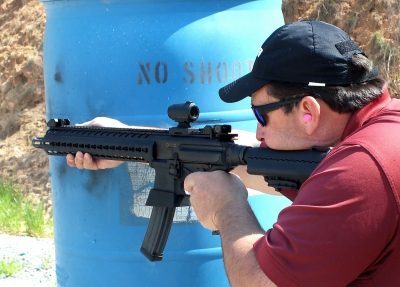 This swell of interest is the reason the United States Practical Shooting Association (USPSA) is offering a new Pistol Caliber Carbine (PCC) class for USPSA. With over a thousand rounds of Winchester WinClean 124-grain full metal jacket (FMJ) loads and several other loads through all the PCCs, there wasn’t a single malfunction. While I’m certainly not a contender, I enjoy shooting practical matches, and I decided it would be fun to review some PCCs to find out which might work for competition. Since competition shadows defensive firearms use, the best gun for completion would probably make the best choice for the average Joe who wants a companion carbine for his pistol. While one might think a 9mm carbine would have less recoil than a .223 of similar weight, this isn’t the case for competition-tuned carbines. A tuned competition .223 AR-15 is as stable as a .22 rimfire with almost zero bounce or barrel movement. This is accomplished by stabilizing the gun with a compensator, reducing bolt carrier weight and adjusting the gas to the piston. This isn’t possible with blowback-operated 9mm carbines because the mass of the reciprocating bolt carrier is too heavy and there’s not enough gas to stabilize the gun with a compensator. I chose four different pistol-caliber carbines, with four marketing directions. JP Enterprise is known for its competition firearms. Palmetto State Armory (PSA) is known for selling AR-15 parts, upper and lower receivers, and completed guns. SIG Sauer is known for excellent and high-quality pistols for serious use. And you may not have heard of Just Right Carbines (JRC) because they’re relatively new and only produce one design, a pistol caliber carbine. Prices ranged from $650 to over $2,000. 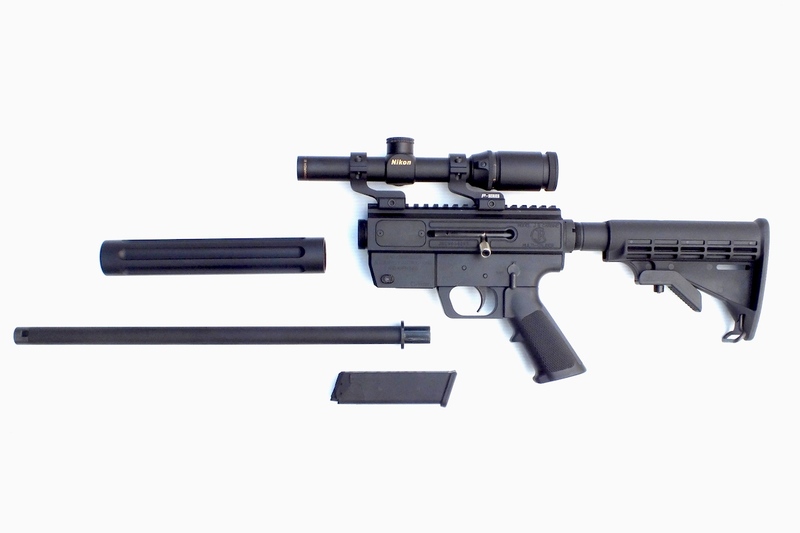 JP Enterprises is known for its custom builds and high-quality components, and the JP GMR-13 PCC is no exception. Probably the most well thought out of the AR based 9mm carbines is the JP GMR-13. JP is known for producing match ready out-of-the-box rifles and the GMR-13 is obviously a premium product, in build quality and price bracket. At $1,500, it’s not the most expensive carbine in the test, but it’s not a gun for the casual plinker. The magazine well is relieved to allow easy insertion on the JP GMR-13. The GMR-13 was accurate and reliable with the added bonus of using popular Glock magazines. The trigger was a good single stage with a very manageable 4-pound break. While not as stable as a tuned .223, there was little recoil and 9mm carbines are remarkably quiet because pistol powder burns much faster than rifle powder. The GMR-13 was the second most accurate gun in the test, and with one load it averaged exactly 1 MOA at 50 yards. That’s better than many rifle caliber ARs in a similar price range. Controls are 100 percent AR-15-style with the exception of no bolt lock back on the last shot, but, in fairness, only one of the PCCs tested offered this function. The Glock magazines it uses are reliable and easy to find. Unfortunately, magazines didn’t drop of their own weight, in fact they required pushing up on the magazine while pushing the release. The magazine release was the weakest point of the GMR-13, but the new, GMR-13 and GMR-15 addresses this problem. Known for their AR parts, Palmetto State offers the PA-X9 9mm lower for an affordable $199. The second rifle in the test was much more price oriented, but still based on the AR platform. Palmetto State Armory produces a wide gamut of firearms from 1911-style pistols to AKs to ARs in a myriad of configurations, as well as individual parts and parts kits. At the time of the test, they didn’t have any completed 9mm carbines in their inventory, but I was advised the MSRP was a very reasonable $950 and even less on the web. Also, the designated 9mm lower can be purchased for $199 on their website. I found one dealer on the net offering a Glock 17 with a Palmetto 9mm carbine for a remarkable $1,000 for the two firearms. The PA-X9 felt distinctly rack grade and that’s reasonable for the price. The PA-X9’s trigger was a bit gritty and heavy and while it was the least accurate of the four carbines tested, accuracy was reasonable. With Zero 115-grain jacketed hollowpoints (JHP) it averaged just over an inch at 50 yards. Once again, operation was pure AR-style with the exception of bolt lock back on the last round. While the magazine release worked on the same principal of the JP, it worked better than the JP. Maybe the Palmetto isn’t a great competition carbine, but it is a reasonable defensive gun. The JRC Takedown could be a camper/backpacker’s dream. Break down is simple, just unscrew the forend and the barrel slides out. During testing, zero and accuracy weren’t affected by removal and reinstallation. The unknown entity in the four test guns was the JRC Takedown Model chambered in 9mm. Many readers might not recognize the name because pistol caliber carbines are the only firearm the company makes. Reportedly, the original design was sketched on a cocktail napkin, and it’s a study of simplicity with less than 50 individual parts, including screws. I first noticed the JRC 9 at SHOT (shooting, hunting, outdoor trade) Show 2017 and my first reaction was that it would make a great utility/camp gun. It turned out to be more than that. While there’s only a small amount of recoil from 9mm carbines, they bounce more than a tuned AR because of bolt carrier weight. 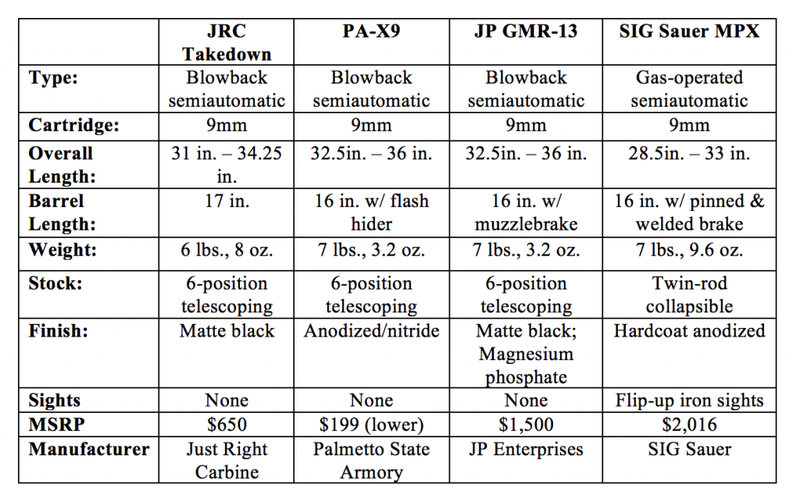 The author took the JRC Takedown to a local 2-Gun competition. In spite of the fact that it’s a takedown gun, the JRC Takedown was the most accurate carbine in the test. My best group of the test was shot with Zero 115-grain JHP at 50 yards and measured just .261 inch for five shots, barely over ½ MOA (minute of angle). I’ve tested precision bolt actions with chassis stocks that didn’t group this well. Of course, Zero Bullet Company ammunition has a reputation for accuracy. I shot three different loads and the JRC 9 did better with all three loads than other rifles. The JRC Takedown is built with utility in mind and has a standard, gritty, rack-grade trigger. In spite of the trigger, I was able to get remarkable accuracy, though it’s been my experience trigger pull is more of an aggravation than a disadvantage when shooting off a lead sled. Like the other pistol-caliber carbines, the JRC Takedown was pleasant to shoot. It uses a standard, six-position buttstock, AR-15 trigger, grip, safety, and magazine release, but the magazine release is on the other side. This is a drawback for those who have a firm attachment to the AR-15/M4 manual of arms. Again, the Glock magazine tenon is the source of the problem, but the system works just fine once you get used to it. I’d suggest Just Right Carbines develop a similar arrangement to the AR-15 as an option or aftermarket part. 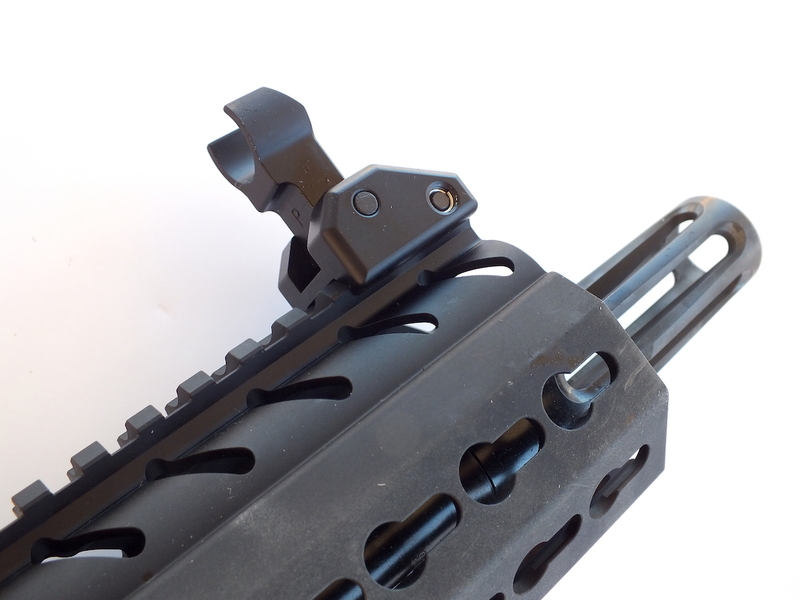 Beyond being a takedown gun, the JRC Takedown Model has the added bonus of having the charging handle and ejection convertible for use on either side. The SIG Sauer MPX is certainly the most compact of the group, and its controls are ambidextrous. SIG Sauer’s MPX is a ground up design that departs from the other pistol-caliber carbines because it’s gas operated. Adapted from the SIG Sauer MPX pistol, it uses a twin rod retracting stock and proprietary SIG magazines. 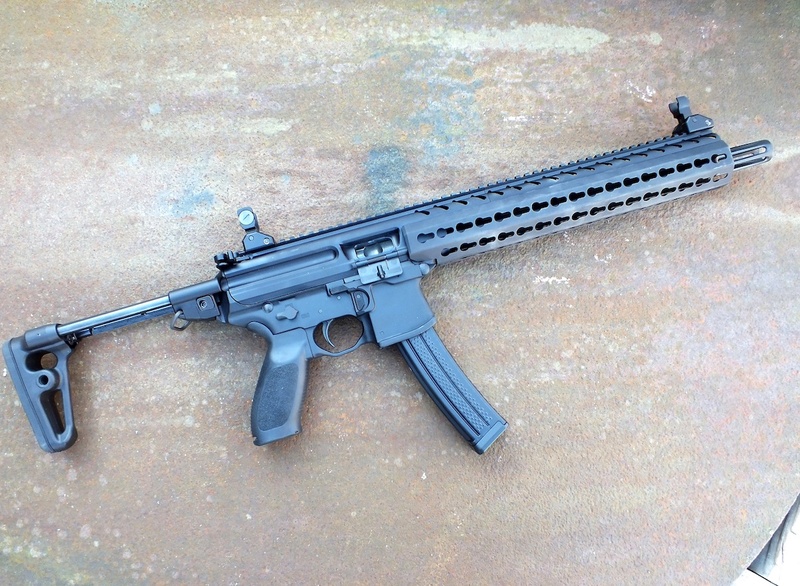 The SIG MPX is the most tactical in nature, with flip up iron sights on a full-length rail. The collapsible twin rod stock looks cool, but even fully extended, it’s pretty short and wouldn’t work well for competition. For $238, shooters can purchase a longer adjustable telescoping stock from SIG. The magazines for the MPX are proprietary and will run you $67 apiece. 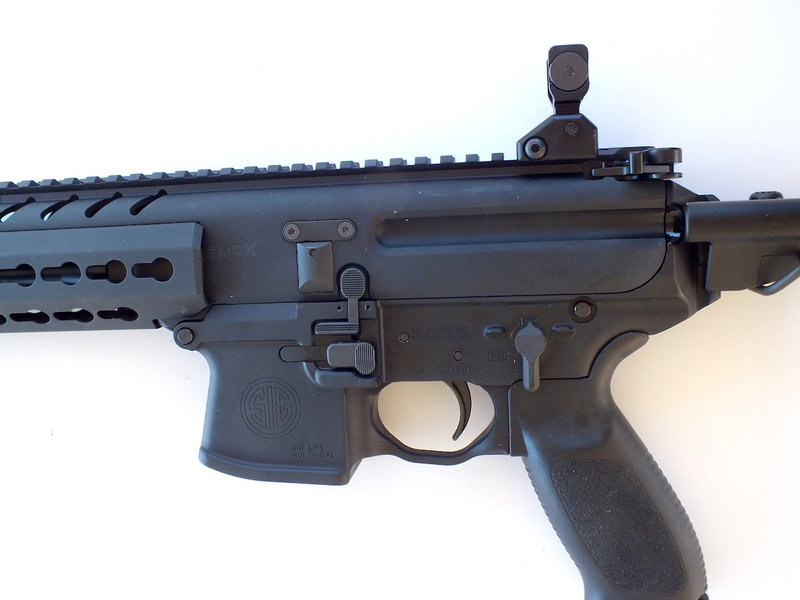 The SIG MPX comes equipped with flip-up front and rear iron sights. It has AR style controls that operate from both sides. Unlike the other rifles in the test, there is bolt lock back on the last round. It’s ultra-cool looking, and it was totally reliable and remarkably accurate. It was the easiest gun in the group for magazine changes and the magazines dropped free when the button was pressed. This could be an advantage of its proprietary magazines. It was also the most expensive. I tested a gun that belonged to a friend, and he shot PCC in a USPSA match with it and took second place, first time out. Testing was done from a Caldwell Lead Sled Solo at 50 yards with three popular loads. For accuracy testing, I installed a Nikon M-223 3-12x42mm scope. Not a practical choice for a 9mm carbine but great for accuracy testing. I suspect most shooters in these matches will use red dots or reflex sights, but I plan to use a lightweight 1-4X variable. All carbines were reasonably accurate and pleasant to shoot, and there wasn’t a single malfunction in the test. I included some light reloads and steel-cased ammo just to see what happened. Besides testing for accuracy, Mike Byrd, a 3-Gun and USPSA competitor, spent a lot of time on paper targets doing double taps. Byrd has a GMR-13 and has done a bit of tuning with the buffer. His modified JP GMR-13 was better than any of the stock guns which exhibited about the same level of bounce with the exception of the SIG MPX. Its gas operated and has a much lighter bolt carrier, and was noticeably softer in the bounce department. During a local 2-Gun competition, the author competed alongside Charles Linker, who won with his SIG MPX (pictured). Linker added the SIG Sauer telescoping stock to his carbine. Of course, the proof of tactical capability of this type of gun is in how it performs under pressure. I shot the JRC Takedown Model in a local 2-Gun match and my friend, Charles Linker, who owns the SIG MPX competed in the same match. Linker had taken second in a USPSA PCC match first time out with the MPX and is much faster and a better shot than me. He won the 2-Gun match handily, and I placed middle of the pack. At the time of the match, Charles had replaced the buttstock with the SIG telescoping AR style stock, and the trigger with a Hiperfire 3-Gun trigger. The difference in score was more affected by ability of the Indian than the quality of the arrow, Charles shoots 3 Gun, USPSA and similar matches almost every weekend, and I shoot about five or six of them a year. He’s also about 20 years younger than me, but we agree the MPX with modifications is the best competition carbine. Because of its superior trigger and excellent accuracy, the JP GMR-13 was the best out of the box competition rifle, and this review barely missed the introduction of the new GMR-15 that remedies the magazine release and bolt lock back on the last round issue. The new version also has an improved charging system and better recoil management. The Palmetto PA-X9, though reliable and reasonably accurate, is more of a basic defensive carbine and needs some modification to be competitive. The SIG Sauer MPX’s fully-ambidextrous controls make it well-suited for right and left-handed shooters. The MPX is a very cool gun, but it’s also the most expensive of the roundup. If money is no object, an MPX with the folding telescoping AR style stock and a sack of 30 round magazines would be the clear winner. 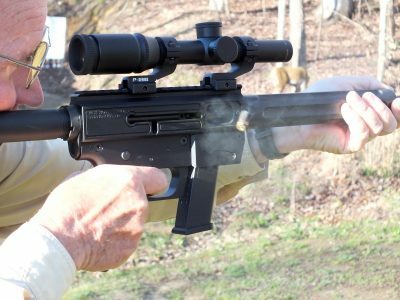 With those improvements, the MPX does everything one could expect from a pistol caliber carbine. Gas operation allows faster recovery with smoother recoil, magazine changes work just like an AR, and the locking bolt on the last round is a big advantage. For the money, the JRC Takedown Model is a great gun. It’s the simplest and least expensive of the group; it’s the most accurate; and the takedown capability is a nice feature. Straight out of the box and considering price as a consideration: It’s my pick. However, if you want to go all out, the MPX, with the aforementioned modifications, is the winner. To purchase a SIG Sauer MPX from GunsAmerica, click https://www.gunsamerica.com/Search.aspx?Keyword=Sig%20MPX. To purchase a JP Enterprises firearm from GunsAmerica, click https://www.gunsamerica.com/Search.aspx?Keyword=JP%20Enterprises. To purchase a Palmetto State Armory firearm from GunsAmerica, click https://www.gunsamerica.com/Search.aspx?Keyword=Palmetto%20State%20Armory. To purchase a Just Right Carbine from GunsAmerica, click https://www.gunsamerica.com/Search.aspx?Keyword=Just%20Right%20Carbine. I have to agree with these posts. The normal everyday shooter does not buy rifles like these for plinking. How about a review of affordable PCC”s like the Kel tec, hi point, Ruger , Beretta, Marlin Camp carbine etc. The gun writers are always looking for the latest,greatest, high tech gun on the market, most of us could care less because they are out of our price range. You have done an article a few weeks ago on TNW areo carbines. These are AR style that is the latest rage. They are a high quality firearm @ a reasonable price. You are focused on military & law enforcement firearms. We everyday people do not $100,000.00 budgets (ie. taxpayer “our” money) to spend on “plinkers”. You can buy good PCC for under $800.00. The TNW, Kel-Tec, & High-Piont are affordable & good shooters. The TNW & Kel-Tec take glock mags that are every where for a low price. The High- Points the mag is the weak link, But other then the mag they are great firearms. I have owned & shot all 3 of these firearms plus some highend PCC over the years & would take the budget guns over the high end ones in a heartbeat in a lethal situation! P.S. If Marlin is listening bring back camper carbine!!!!!!! All those guns are way out of my price range. How about doing a shoot off article with economy PCCs? How about including .357 Mag and .44 mag? Maybe include some actual PCRs (Pistol Caliber Rifles)? Not everyone is enamored with carbines. Does anyone make them? the whole point of buying a PCC is for cheap plinking and fun factor. The ones in this article are not cheap. The kel tec, the hi point, marlin camp carbine, ruger police carbine, even the beretta storm carbine are all less than 1,000 dollars and fit the bill. These overpriced 9mm’s are NOT! No, that maybe the reason YOU use them though. Maybe consider the following. Others use them, one, for comp but where it really got started was , two, to have a gun similar to your competition or duty gun but using the much cheaper 9mm ammo. They also, three, make a great home defense gun. As anyone can tell you thats fired a AR even more so and SBR version in a enclosed small room. Not to mention try it when you were dead asleep eyes fully night adjusted and no hearing protection. Anyone doing night time shoot house drills understands the most of all but not the no hearing protection part which would always the case in a real HD scenario. Its like having a flash bang going off next to you and looking at it. Very disorientating to say the least. Go luck with getting those next shots off well aimed and controlled. A PPC has about half the concussive blast and flash of a 5.56 in a equal gun. So a few different reasons for PPC and they all seem to have price points that can fit anyone desire. Funny.. The former company Olympic arms has been making pistol caliber carbines for the last 20+ years. nothing new here move along..
Ruger made a police carbine in 40 S&W and 9mm. Kriss also makes a carbine in 9mm, 45ACP, and 10mm. They look different but use Glock mags and shoot very nice. I would me a lot more interested in a 10mm (10mm x 25) as it actually has the gas to push something through a barrel that long and have some compensator effect. I have Mectech’s in 9mm and 10mm. I use the 9mm same configuration in USPSA events and for practice. Both sport RMR’s and are very accurate and fast. I use the .45 high capacity mags and crimp them down to 10mm to get 28 rounds.. The 10mm has plenty of power if I wanted to hunt with it but its more a SHTF gun than anything else. It can be converted to full auto as any glock with a few small parts and 10mm at full auto will tear some stuff up. Having the same mags for your carbine and side arm makes you that much more adaptable to various situations. Hey you left out the Hi-Point carbine, I had one for years and never had an jam! Traded up to KelTek sub2000 so I could get more ammo in mags! It has never had an problem except that the guy that sold it to me, on line, that that glock 17 and 19 used same magazines! Maybe they don’t cost enough? Not much good in PPC competition. Try and load those compared to a magazine change, even if the magazine is a bit sticky. This article would have been a lot more valid if you had included two cornerstone PCCs – the Marlin Camp Carbine and the Hi-Point carbine. The Marlin is no longer made, and the Hi-Point is looked down on by many hi-end gun people, but neither of those issues detract from the utility and fun potential of either one. On top of that, the utility, low price and very decent accuracy and reliability of the Hi-Point make it a very solid choice. Right , Personally don’t need a $1,000+ plinker. The fact that the carbine can fold in half provides great utility as a truck gun or to carry in a backpack. And unlike a take-down, this carbine can be deployed in just a few seconds. I have used a CZ scorpion in carbine competition. Great little pistol carbine as well. Just for fun sometimes even haul out a Thompson. Makes easy bto see holes in the paper targets and clangs the steel with way more authority. You forgot the Hi-Point series of PCCs. For the money you can not beat them!!!!!! I like my Single Sevens and Marlin 1894CB in .327 Federal Magnum. And my Blackhawk and Model 92 in .357 Magnum Not to mention the Super Blackhawk and Model 92 in .44 Magnum. Or the Colt New Frontier .22 and Marlin Mountie. The original pistol caliber carbines (only because I don’t have a Model 1873). Lever actions. Bringing home supper for over 150 years. You did not mention the beretta carbine, I have one it looks like it came from out of space but it is a great shooting gun. I can see the direction of this article by the Carbines talked about. However, the weakness was failing to mention a Carbine that has been throughly tested and proven to be an exceptional Carbine…..the Beretta CX4 Storm that accepts Beretta full sized pistol magazines. Besides, it doesn’t look like every other AR platform a big positive. 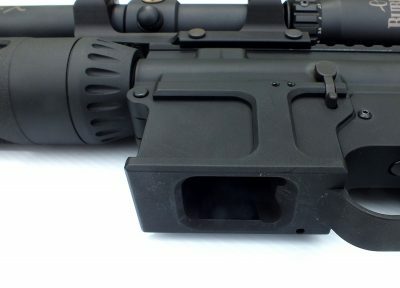 My issue with a 9mm carbine was always a small fast round makes a small hole going in, and a small hole going out. With the advent of modern hollow point bullets, the lethality of the 9mm should be re-examined for (I hate to say tactical) tactical utility. I have only anecdotal evidence of this, but shooting a milk jug with 9mm ball is way less fun than shooting it with hollow points. I know the military now has permission to use “expansion” rounds to avoid over penetration, maybe the 9mm will see a comeback? I would think a shorter barreled version (Damn the rules) of any of these tested, with good ammo would make a flexible and effective addition to anyone’s arsenal. I have a Mech tech 9mm PCC and a Taylor Freelance extension on a big stick Glock magazine that gives me 43 rounds without a mag change. While the Mech is a bit heavy for competition, it is highly accurate and due to the weight, has very little recoil. I’ll blow a hole thru the center of the target way sooner than I run the mag dry. Heavy? It would be with a 43 round mag. Try the obvious, a regular mag. The guys who carry an m249 would be laughing at you! I haven’t seen a review yet of the uppers that accept YOUR lower pistol. For instance MechTech Systems. I have it in 45acp connected to my XD. It’s a lot of fun to shoot. You can get it in several calibers. And will attach to XD, 1911, and glock frames (specific) much cheaper than these you reviewed. Several friends of mine own one because they shot mine. There is an ad every month on the last page few pages in NRA mag..
Forgot to mention , as it is an “accessory” it comes shipped to your house! You left out our American made High Point Carbines. I have a High Point Model 4595 in my lap as I type this. It’s an accurate 17″ barreled repeater that holds 10 rounds of .45 ACP. It is a companion to my 1911 Colt Gold Cup Trophy Model also in .45 ACP. I do not shoot living beings, people or animals, I am a target shooter. I can testify to the outstanding accuracy and reliability and easy field strip of the High Point 4595. It also packs a punch! Besides all of the above the 4595 looks great and is only around $350 new, so I would put it on the top of the list. I also own the same caliber .45 Highpoint carbine and this carbine shoots more accurate then one would think. I have a Hyster tire out at 392 yards and can hit that large tire 10 out of 10 rounds easily. Each time there is a noticable thump sound and the visible hole where the 230 grain .45 bullet enters the tire casing. I have not recovered any spent bullets yet from that tire but keep looking. My problem w/these blow back carbines is they beat hell out of the gun. Not buying into the gimmick of it all. Its just not necessary and it looks cumbersome. My 9mm is still the MP5……the best and yes its not a carbine but so what lol……..it will do the job and its accurate and compact. Dean I agree with the sales gimmick and the pistol caliber carbine is no a new thing. Goes back to the lever actions in hand gun calibers.This might sell because it looks like an AR. The HK MP 5 is good ,but I prefer the 1928 TSMG ,pistol caliber carbine in full auto 45 acp. No mention of the Kel-Tec Sub2000. Very reliable, very accurate and it folds up to 16″. And it does not cost a thousand bucks. In the IDPA Carbine Caliber Pistol (CCP) division with Iron sights only I place Sharp Shooter (SS). You can add optics but I prefer Iron. It was an interesting set that you chose. Of course the MPX had to make it, but knowing what is out there, the rest be up in the air. I realize that PSA is a big name in cheap rifles, but I’m surprised you didn’t pick the UDP-9 for that spot since Angstadt has been delivering that specific style of AR for longer and retains a last shot hold open capability for about that $950 sticker price point they quoted you. I want to hate the JRC, but I really can’t. For what it is, the gun is pretty remarkable. The JRC also has the advantage of being available in a configuration that will accept M&P magazines. Not quite sure the point you’re trying to make. Everybody knows high-powered rifle calibers are more lethal than handgun calibers (except the big ones made for grizzlies). With the right ammo pistols do get the job done at typical self-defense ranges. Competition shooting is something else entirely, and that seems to be what the author is more concerned with in this article. FWIW the Virginia Tech shooter had a much better kill rate, appx. 2/3 of his 49 victims, using nothing but a couple of pistols–one was a 9mm and the other a 22! Could be that nut job was just better at placing shots than the Orlando nut job. Addition to comment: 100 were shot 49 lived after 3 hours. Maybe another 25% would have if they’d came in sooner or gotten into surgery before 4 or more hour later. Looks like fun. Expensive fun. Probably useless fun. So my prob8with the whole pistol caliber carbine is it is pretty much a novelty weapon. Adding a 90 fps by adding a few inches to the barrel hardly makes it more lethal either for hunting or self defense. Being a pistol is for convenience; ease of carry , ccw etc. Since 82 % plus of defensive gun used are under 7 paces/ 7 yards and that at that 72% + who are shot with a pistol live. Buying a carbine chambered in a pistol caliber seems fruitless. I think getting one in 22 caliber would be way more practical, probably even more useful. Even the 5.56 carbine which is way more powerful is not a great round. It is still a 22 caliber projectile, a varmint round. For instance: the Orlando shooting. The club held 300 people, like your average roller rink. The people were shot under 30 yards. From my understanding everyone was shot multiple times. It was of course with those ummm , accurate yet unstable tumbling rounds which cause great wounds. ( I think I got that right?) Most everyone was shot at the beginning , yet after 3 hours plus of bleeding out half lived. Two guys shot 7 times each in the gut were up giving interviews in bed the next day. 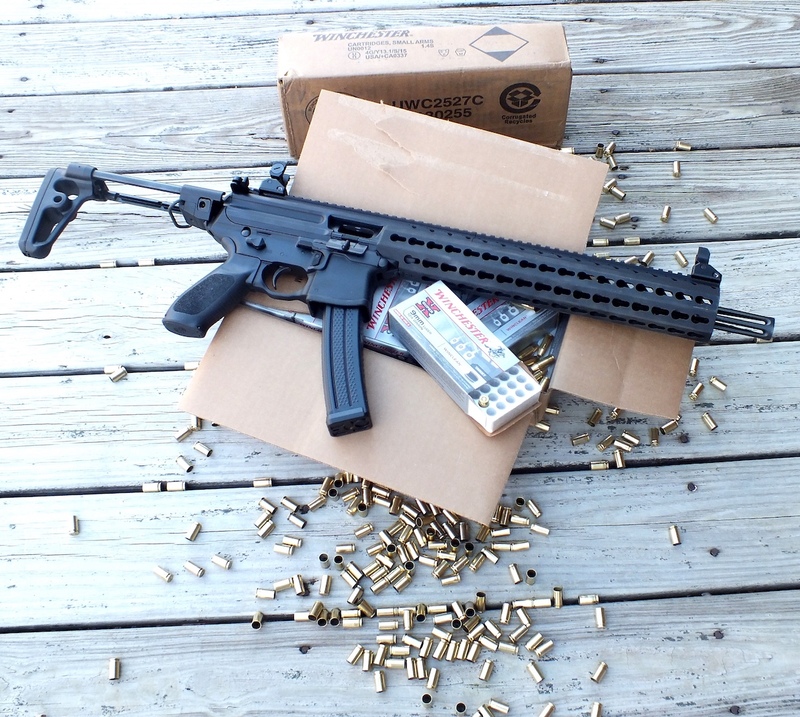 The 5.56 is way more powerful than any of the pistol calibers. That being said I’d still love to own a mp5 with a giggle switch. I think the primary purpose of a PCC in a home-defense role that the people that buy into it is more about the fact that a lot of people just really aren’t great with handguns even with as much practice as they can reasonably do and shooting a real rifle indoors will result in very definite hearing loss. The people who choose PCCs for home-defense are probably doing it for the stability over handguns. If it weren’t onerous to get an SBR and a silencer, I bet those same people would choose a PCC with a very short barrel which would not add any velocity. But that is just a guess. I beg to differ on the shotgun as an effective combat weapon. I carried one in Vietnam, using double-O buck to #4 buck. More effective than M16 in close quarter jungle combat, bunker/trench clearing, and urban house clearing, etc.. From WWI to today, the U.S.military has issued shotguns to their units in every theater they fought in…..must be a pretty effective weapo. This reminds me of those weekly “studies” that you hear on the “news” that refute the claims of each other, i.e. a new study claims water is bad for your health, then the next week, a new study claims not drinking water is bad for your health, etc. One gun website has an article about the utility of pistol caliber carbines, then another has an article about the death of pistol caliber carbines, and now, the next big thing is = pistol caliber carbines. I love it! Great article. I know you can’t shoot every rifle out there, but I’d like to see how the Lone Wolf G9 would fare against your line up. After much research that’s the 9mm Carbine I ordered. Excellent in every way! Like me, I think a lot a lot of people worry about over penetration with rifle caliber rounds for home defense. I’d hate to kill someone in the next room or in the house next door while battling a home intruder. I use a TNW Aero carbine in 45 acp with two 26 round mags of Magtech HP and Glaser ammo.